It’s been a while in the making, over a year to be exact! My husband and Dan Philibin our website developer have spent countless hours designing, developing, and fine tuning each and every detail of this new site so that it will be efficient, organized, and easy to use for all of you! The first thing you’ll probably notice is the new design. Although we tried to keep it similar to the old site, we wanted to make sure we improved the overall design to be even more pleasing and easy to use. Every page is designed with the user in mind, making it a great experience from start to finish! The website is responsive on any device! One thing I am so excited about is being able to view the site on my phone and tablet. I know if you have tried to visit the site in the past on your phone, it was difficult to use. The site is now optimized for every screen size, which means that it will look be easy to use and read on your iPhone, Galaxy, Nexus, etc..! No more pinching and zooming, YAY! 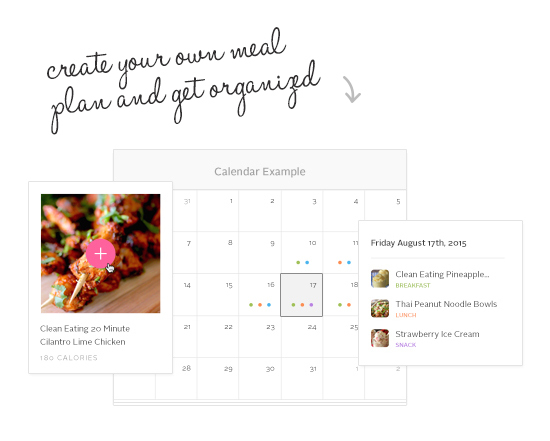 :) It also works great for those using the calendar and grocery list while on the go. There are plenty of new pages to explore! Some of the new pages that we have added are the speaking page, the ministry page, and the membership page. We have also redesigned many of the pages, making them easier to navigate and search for content. The recipe index has also been updated, and is now faster and easier to use. It also has the much anticipated feature which allows you to view a recipe, and it will take you back to where you left off, rather than starting back at the top of the page! There are new tools and features! After years of working with people in the areas of health and nutrition, I have found that the three things that often limit people from living a healthy lifestyle are time, organization, and money. For that reason, we have developed unique resources and tools that will make healthy living enjoyable, attainable, and affordable; and they can all be found through the Dashing Dish membership! Not only does the Dashing Dish membership give you access to over 400 exclusive recipes, workouts, videos...It now gives you access to a custom meal plan maker, a detailed grocery list builder, favoriting features, and an exclusive once a month google hangouts with Katie to support you on the journey to a healthier you! 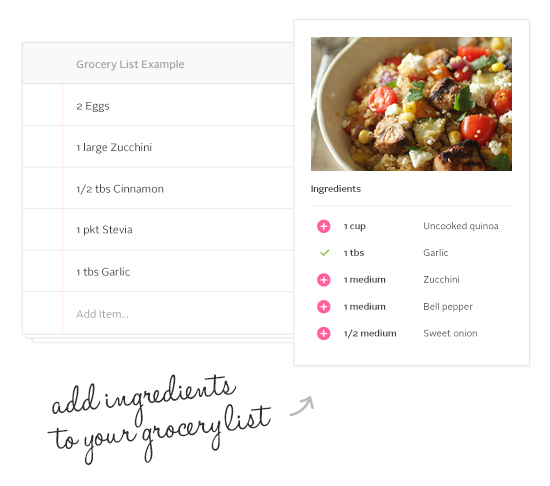 The meal plan and grocery list builder in the Dashing Dish membership are unique features that will allow you to create weekly and monthly meal plans and shopping lists based off the Dashing Dish recipes of your choice. This will allow you to not only get organized, but it will save you time and money and make healthy eating enjoyable and realistic. With that, I want to take a moment to thank the amazing two guy team that made this new site possible! Watching this struggle growing up, I knew that countless women were in the same position, and find that the hardest part of feeding their families is getting the grocery list made out, figuring what to buy when you are there, and then... actually figuring out what to make! These new tools were designed with you guys in mind, to help the process of planning and preparing healthy meals go from being the hardest part of living a healthy lifestyle, to the easiest part of all! I want to say a very special THANK YOU to my husband Sean, who invested countless hours and many late nights, all while working hard and taking other design work, and budgeting down to the penny every month so we could create this website....And to Dan Philibin, who drank way to many red bulls ;) and spent who knows how many all-nighters the past 2 years to bring the site to life! I can't imagine how much work this site has been for a 2 man team, but I do know that thousands of people will be blessed by it! Thank you Sean and Dan for bringing a dream I had 3 years ago to help others on their journey to life!